It’s alive! The New District IV Website is up and running. The announcement was made at the Joe Nall last week during the National Membership Meeting that the new District IV website is live. You can get to it directly using either, www.amadistrict-iv.org or www.ama-d4.org. It was explained to everyone after the announcement, the website is like a child that will continue to grow and mature over time and currently with 18 authors feeding the posts, it will never get stale but have new and fun information added continually. We also have plans for additional features such as club newsletters and an event calendar which links to the club, field, GPS, and weather even on your smart phone. If you want to see an activity or offering not currently on the site just ask our Webmaster Jack Upchurch, webmaster@ama-d4.org. Also see the Contact Us page or use the Blog Authors email address on each page to contact us. Don’t forget about our Facebook page, www.facebook.com/amadistrictiv. It is growing and being used more and more and will focus on what’s happening right now with district, national, and activity news through timely postings. Come visit and Like Us so you will know when there is something new happening. I am pleased to introduce Rick Cawley, our newest Associate Vice President who lives in Fuquay Varina, NC (racbgc@embarqmail.com). He will be serving central North Carolina replacing Josh Bunn who has stepped down to enjoy and experience his growing family. We thank you Josh for the many years of service you have given the district and AMA. The Associate Vice Presidents and I are getting out there and enjoying attending your events and club meetings. We are answering your questions and providing help as requested. Don’t hesitate to come up and say howdy. Keep it up and let us know what you are doing. Send an invitation to come to your field and we will do our best to schedule it and come by for a visit. National Model Aviation Day is fast approaching. It’s not too late to sign up. Remember your club can do whatever it wants. It does not have to be a WWP event. It can be any charity or no charity at all. The important thing is to register and enjoy a day showing off your aircraft and promoting model aviation to the public. See www.nationalmodelaviationday.org for more details and to register. 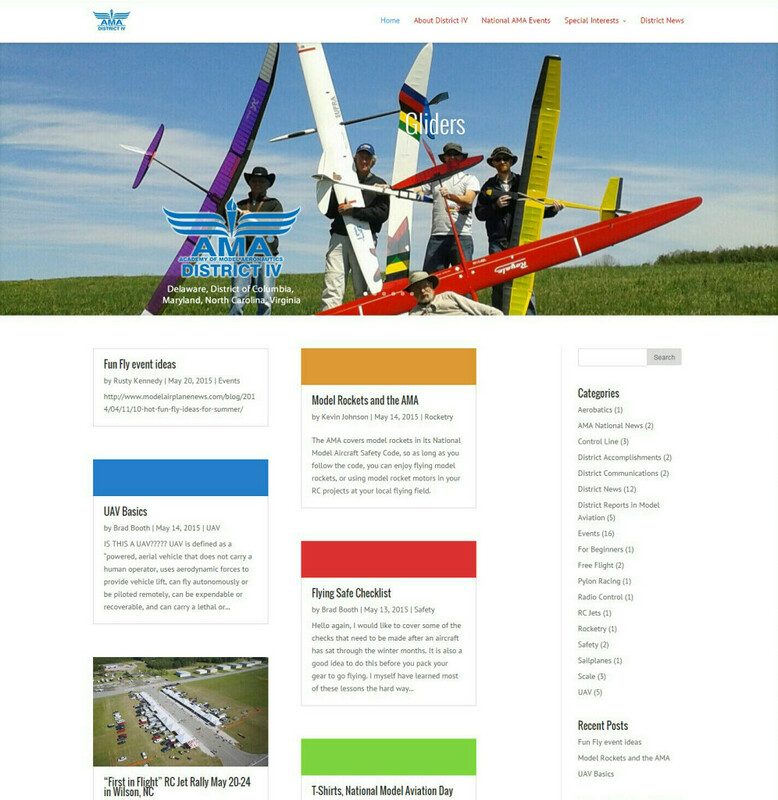 The 89th National Aeromodeling Championships or NATS begins in July. If you would like to see the best of the best show off their skills head to head or would like to test your skills then plan on attending the NATS. In addition to the competition and camaraderie there are gatherings planned and many special events as well as taking a tour of our national headquarters and visiting the world’s largest model aviation museum. Check out http://www.modelaircraft.org/events/nats.aspx and plan on attending. Here’s something interesting to do. Add your story, your club’s history, or other modeling history to the AMA History Project. It is an on-going venture to assemble and store the history of Model Aviation. These histories are online and in research files at the National Model Aviation Museum.